Aug. 13, 2013 - We have been in this country longer than most other ethnic groups and races. We are a majority among Latinos. Finding us should not be a problem. We have been here all along! And yet some of our fellow Americans are just beginning to notice us. We are white and we are Hispanic — and that should not be a problem, either. Nevertheless, ever since The New York Times described George Zimmerman as a "white Hispanic," some people are having a hard time hiding their ignorance about the U.S. Hispanic population. There were those who had erroneously assumed that Latinos/Hispanics are a race instead of an ethnic group. There were those who claimed that they had never heard the term "white Hispanic." And there are conservative extremists already charging that this was a "new term" created as part of a sinister plot to make the Zimmerman case "about race" and polarize the nation between whites and blacks. And they are all promoting ignorance. For the record: Just like the rest of our fellow Americans, U.S. Hispanics come in all colors, ethnicities and religions. Most of us are descendants of Spaniards, Africans and Latin American Indians, but many of us also can trace our roots back to ancestors all over the planet. We are white, black, Asian, Arab, Native American, Christians, Muslims, Jews and all the other creeds, cultures and colors of the rainbow. Yet because most of us come from Latin America, speak the same language and share the same culture — because we have a common geographical, ethnic and linguistic identity — some people mistakenly categorize us as a race. 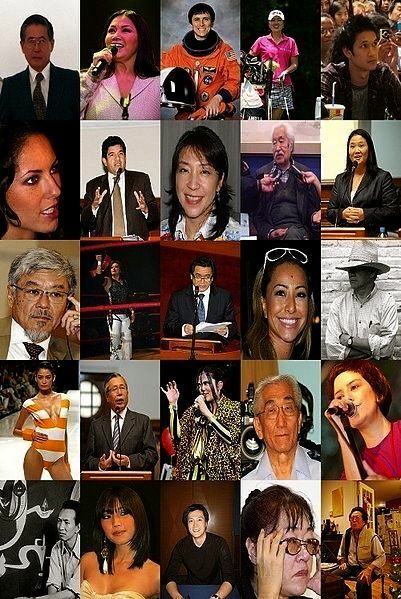 If we call ourselves Hispanics or Latinos, some assume we are non-white. And it's not just the conservatives who are doing this, because even when we look like milk, just to be politically correct, the so-called progressives call us "people of color." Just because white Hispanics don't go around identifying ourselves by our race, that's enough for some to assume we don't exist. It's amazing! On Fox News — clearly following a conservative, Machiavellian agenda, contributor Bernard Goldberg searched online for the term "white Hispanic," found fewer references than he expected and used this repulsive distortion as evidence of our non-existence. Goldberg argued that Zimmerman is "only a 'white Hispanic' because they need the word 'white' to further the storyline, which is 'white, probably racist vigilante shoots unarmed black kid.'" On CNN, comedian Bob Thompson insisted that the term "white Hispanic" "never existed before this case" and politician Newt Gingrich promoted similar ignorance. "I was yelling at the TV, 'Newt! There are white Hispanics!'" reported my friend Roland Martin in a recent column where he noted that, "As members of the media, our job should be to educate and inform. Not allow cultural ignorance to thrive all in the name of a good debate." He suggested that, "Instead of having a debate on the air over whether white Hispanics exists, why not actually book white Hispanics and experts in the area to educate the viewer on the differences between various Spanish speaking cultures? Why not having a teachable moment to explore the differences, instead of letting folks who have no idea what they are talking about run off at the mouth?" He is right. But I've seen even some politically correct Latinos expressing apprehension with the term "white Hispanic." In the end, the tragic shooting of Trayvon Martin may have sparked a much-needed discussion about race and ethnicity in this country. Of course, if you Google "Hispanic racial breakdown" and "2010 U.S. Census," you would soon find that, "Over half of the Hispanic population identified as White and no other race, while about one-third provided responses that were classified as Some Other Race alone when responding to the question on race. Much smaller proportions of Hispanics identified as other race groups alone: Black alone (3 percent), American Indian and Alaska Native alone (1 percent), Asian alone (0.4 percent) and Native Hawaiian and Other Pacific Islander alone (0.1 percent)." 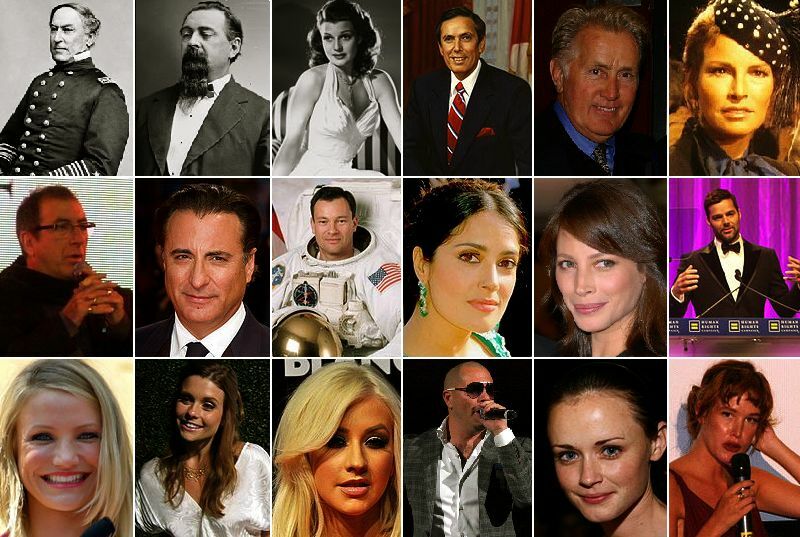 Regardless of the myths and stereotypes, many Latinos are white, of European origin. In fact, we find it especially irritating when confronted by forms asking us to make a choice between white, black or Hispanic and not giving us an opportunity to chose two of the three options. Bureaucrats never ask whether we are black, white or Irish — because they know better. But with Latinos, they often try to make a race out of our ethnicity. They would rather not see our racial diversity, because it's easier to lump us all into an all-encompassing racial-ethnic-linguistic-geographic category. In the United States, people are either officially black, white, American Indian or Asian. But in Latin America, there are many more racial categories. You can be mulatto because your ancestors had white and African blood, or you can be mestizo because they have Native American blood. 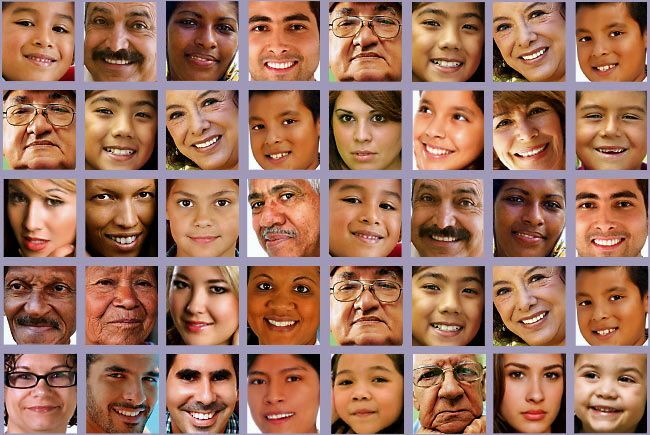 Many times, people are a mixture of all three races and many more ethnic backgrounds. Latinos can be Venezuelans of Polish stock; Cubans with Jewish, Lebanese or Chinese ancestors; Peruvians of Inca, English or Russian lineage; Mexicans of Aztec, Japanese or Irish ancestry. Or they can be Argentine of Italian, German or French descent. The list goes on. And while our racial and ethnic diversity obviously is confusing to many non-Latinos, unfortunately sometimes Latinos contribute to the confusion — especially if they are in denial about the color of their skin. Although at least one-third of the nation's 50 million Latinos are believed to have African ancestry, some try to hide it. They look black, but if you ask for their race they tell you they are Latinos. This causes justifiable resentment from black Americans, who are offended when they see some Latinos denying their African roots. But some African-American leaders can take this to the other extreme. When they expect all Latinos to call themselves "people of color," they are asking white Hispanics to deny their European ancestry. Perhaps what we all need is a much better understanding of the demographics of the American people — all our rich ethnicities and races. Perhaps what we all need a jolt like the one experienced by my Italian-American friend Giordano, who always comes to mind when I write about this topic. She said that she was shocked by what she heard from an acquaintance who was trying to be friendly, and that it made her understand why Hispanics feel annoyed when they are categorized as a race. "I grew up in a neighborhood with all Italian people," Giordano was told. "I was the only white person in that neighborhood."